The last time Katherine Ball’s Limousine Liberal trained at Keeneland and shipped to New York, he won a seven-furlong graded stakes in capturing the Grade 2 Belmont Sprint Championship by a neck on July 7. Trainer Ben Colebrook said he’s hoping the 6-year-old gelding follows suit in Saturday’s Grade 1, $600,000 Forego, one of six Grade 1 races on a stacked Travers Day card. The ultra-consistent Limousine Liberal has finished on the board in his last 11 starts dating to 2016 and has won six of his last 10 starts overall, including a victory by a head over fellow Forego contender Warrior’s Club in the Grade 2 Churchill Downs at seven furlongs on May 5. 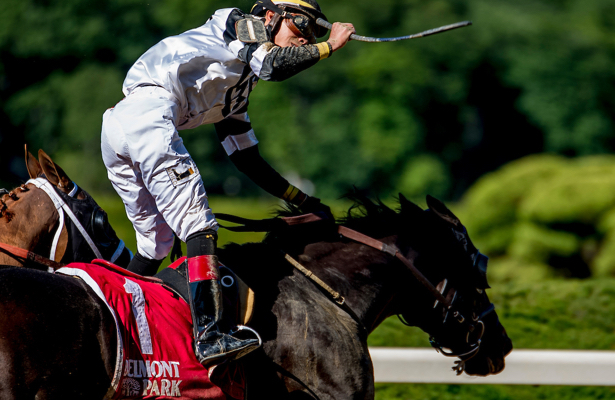 After stretching out to a mile in running third in the Grade 1 Metropolitan Handicap on Belmont Stakes Day June 9, the Kentucky homebred returned to Belmont’s Big Sandy for a come-from-behind win by a neck over Whitmore in the Belmont Sprint Championship. “I think every time you lead him out there, you can count on him giving you his best effort,” Colebrook said. “The times he hasn’t, it’s probably my fault and not his. He’s a very consistent horse and lays it on the line every time. He’s a very neat horse to be around. Limousine Liberal drew the rail in the eight-horse Forego. He was installed as the 3-1 second choice on the morning line behind 9-5 favorite City of Light and will have jockey Jose Ortiz in the irons. Limousine Liberal is 5-2-1 in 10 career starts at the Forego distance, which Colebrook said suits his running style. A “Win and You’re In” qualifier for the Breeders’ Cup Dirt Mile, the Forego could allow Limousine Liberal to punch his ticket to another Grade 1 held near Colebrook’s base of operations in Kentucky, with Churchill hosting the two-day event in November. “We stayed close to home and let him win a bunch of races last year and get some confidence with the idea of the Breeders’ Cup being in his backyard as a 6-year-old,” Colebrook said, “so we really just focused and tried to figure out the best way of getting him there,” Colebrook said.